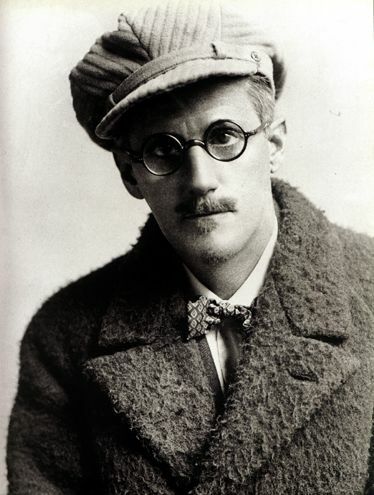 Yesterday was one of my favorite holidays: Bloomsday. It is a day given to James Joyce’s book Ulysses, a tale of two men trying to make their way back home on June 16th 1904. During the time I read it, I was looking for some place I belonged, and like both Stephen Dedalus and Leopold Bloom, I was wandering rather aimlessly. I was a senior at Cornell, and while for a short time during my four years there I enjoyed some minor celebrity status as a runner, by the time I was a senior, I had been injured for about a year. Up until Christmas I had a boyfriend – my first love – but after he moved from Dartmouth to Boulder, he stopped calling. I was devastated and thought it must have been because I was no longer a runner like he was. Additionally, I had no idea what I was going to do with my life. I had thought I would leave college, get a sponsorship from Nike or Asics and keep running, but obviously, that was no longer in the cards. I didn’t want to go to med school or vet school like I originally planned, and I hadn’t applied to grad school. When I was asked what I was going to do after graduation, mostly I just shrugged. The spring semester at Cornell began in January, during the darkest month of Ithaca’s dark winter. To say I was depressed would be an understatement. When I saw that Ulysses was offered as a graduate seminar, I signed up, almost as a dare to myself. I was told that I had to get special permission from the professor to get into the class, as it was a graduate seminar limited to senior-level English majors or grad students. I was neither. But I didn’t care. I am almost 100 percent Irish and yet the only part of my culture I was really familiar with was the Catholic Church, roller skating to Clancy Brothers records in my basement when I was little, and guarded stories of my parents’ childhoods in an Irish neighborhood in Queens, NY. For some reason, I thought a book might help. The day before class started I went to the Big Red Store and bought all of the required and recommended reading. I walked back to Collegetown with my arms full of books with titles like Symbolism in Ulysses, Hamlet, and Reading Joyce’s Ulysses. My friend Loren – an English major – looked at me as if I were crazy. “What are you going to do with all those books if you don’t get in the class?” she asked. Loren let her breath out in a long, slow whistle and walked away shaking her head. On the first day of class, I tromped through the dirty Ithaca snow to the English building and into a tiny room furnished only with a long table and leather chairs. Compared to the anatomy lab I had just come from, the overheated room was heavenly, even though I didn’t have a seat at the table. The place was packed and I was stuck in a corner near a drafty window. Dr. Schwarz walked into the room and took a seat. I didn’t know it at the time, but he is one of the most renowned Joyce scholars in the country.“Well,” he said in a thick New York accent. “It’s a little bit crowded in here.” He explained that the way the seminar worked was that he would give each student one of the eighteen chapters in the book. “Therefore,” he said, “I can’t have more than eighteen people in here. “ He got out his roster and started calling out names. I shook my head. “Pre-med,” I said and Dr. Schwarz wrote something on the paper. “You did know that this class is restricted to upper-level English students?” he asked. I nodded and felt my face get hot. On the day of the second class, a week later, the same thing happened. But this time, Dr. Schwarz stopped me on the way out. “I know you have this idea that you can get into this class,” he said, pronouncing idea like idear. “But you can’t. I’m sorry.” Again I nodded. “Okay,” I said. On the third week of class, I made my way from the folding chairs lined up against the wall to the leather seats at the table. I counted. There were only sixteen people in class that day, and this time, when Dr. Schwarz took attendance, he just ignored me. “Someone tell me the symbolism of the scene between Buck Mulligan at the top of the stairs and Stephen,” Dr. Schwarz said and I raised my hand quickly. He looked around the table and pointed to me. “You,” he said. “Go ahead.” Stately, plump, Buck Mulligan. Stately and plump. The irony there, the immediate clue that nothing in the book could be taken at face value. The only hope I held in my life then was that things weren’t what they seemed. That something would happen. That something would change. “OK.” My heart took an elevator ride to the top. “Yes,” I said. Those are the last words of Ulysses, and they are spoken by Molly, who is the antithesis to Stephen and Bloom. She is the affirmation. She is the physical, breathing, Penelope who is waiting for Bloom to come home. I don’t remember the chapter now. It’s basically eight sentences, one of which is over 4000 words. What I do remember was the joy in being able to spend so much time with this chapter. The freedom to revel in such stream of consciousness, seemingly unedited, ribald thoughts. It was May by the time it was my turn to lead the seminar, and the trees had buds. I felt the first faint stirring of hope. Molly was the opposite of myself. She was free while I was contained. She was sensual while I was practically an ascetic. She reveled in her girth while I was ashamed of any bit of excess skin. It was incredible to me that after crashing such a class, not only did I have one of the most famous Joyce professors in the country, but I had gotten the best chapter. “Didn’t you used to run?” he asked me once during office hours. I got that all the time those days, as if I were an imposter. Once someone started to say, “Didn’t you used to be Pam Hunt?” until they caught themselves. But it was okay. That was how I felt too. I shook my head and told Dr. Schwarz I had gotten injured. We spent a few minutes talking about tennis, a sport about which I know nothing, and then his sons. Finally it was time to leave. As I packed up my backpack, Dr. Schwarz said, “You’re doing well in this class.” I grinned. I couldn’t help it. Something new was beginning to spark. Maybe, I thought, this is who I could be. I never did go to vet school. I didn’t go to grad school either, but what Dr. Schwarz gave me was worth more than a degree. He gave me a sense of worth that had nothing to do with how fast I could run or how many people knew my name. And he gave me a glimpse of how big the world is, how truly gigantic. He showed me it is enormous enough to hold all of our selves. Once, I read an article in which he wrote, “Literature and the other arts are a window to who we were and who we are.” Dr. Schwarz gave me a sense that nothing, really, was that big of a deal. You ran, you got hurt, you read books, you took up tennis. I think of Dr. Schwarz often, but especially in June. It’s a feeling of gratitude that comes like Christmas, it’s a sense of wonder about where I would be if it weren’t for him. In a time when I was spinning, he put his hand on the top of my head and righted me. I think maybe he showed me what grace truly is. He taught me that it lives inside, that comfort is worth seeking out, and that we are never -thank god- who we think we are. What a gorgeous and inspiring entry. I’m a new reader, having discovered you from Katrina’s blog roll (I’m on there, too!). There is such a beautiful authenticity to your writing. I’ve spent several days struggling to write an essay about my dad for Father’s Day, but I just can’t get it to flow. Reading your essay, so well written and so full of grace, caused something to stir deep inside me. Just had a memory of driving with Dad from Syracuse to Ithaca to tailgate at a Cornell football game Perhaps I found just the inspiration I needed! Thank you! we are never -thank god- who we think we are. So glad you got into that class. As a teacher of literature, I can say that your special professor taught you what all English teachers struggle to do…convey the power of the written word. Beautiful tribute. I’m all teared up. This stuff – all of this that you wrote here – is what makes life *good*. I feel hugged. Thank you! This is where Carry It Forward came from… these people who show up in our lives, reorder us, show us a reflection of our selves that we had been blind to, fill us up in one way or another. Then we move on and they move on and what is left is this. The memory and the shift in our lives that leaves us grateful forever. I wish you know how delicious it is to start my Sunday morning like this. Just like Kristin Noelle said “I feel hugged”. I like what Dr. Schwarz said about “literature is how we transform world into words and words into world”. Pamela you held me completely rapt with this text. It’s incredibly written and evocative. I’ve always wanted to be that person who just took a chance on something, who just saw something I wanted to do and did it, not matter what others said. I don’t think I am, too much of my life has been spent doing exactly what people expected me to do. I feel quite inspired by what you’ve written. It’s a gorgeous piece of writing, Pamela. You brought me back to halcyon days when my greatest worry was wading through Dostoevsky in the original! We are, indeed, so much more than we seem. And that can remain the case, if we’re open to ongoing learning and change. Love the evolution of your blog, Pamela. Love your deep, insightful, bare, brave, tender writing. Still, I hear the echo of the Yoga that was in the seed of the Blog… Yes I said yes I will Yes. The echo of OM…. that eternal Yes…. I say Yes to life. In that I Trust. Thank you for the mirror of revelation and of affirmation. You are Molly. You are That. wow, what was your injury? There wasn’t one dramatic one. I had plantar fasciitis followed by two bouts of Achilles tendonitis, during which I had to wear a cast. Then 2 pelvic stress fractures and a broken hip. The whole mess caused lower back issues and I never ran well again. What a marvelous piece, Pamela. I especially love this line: “Maybe, I thought, this is who I could be.” It is a remarkable thing indeed when someone helps us hold a mirror up to ourselves and gives us permission to look inside it in a new way. Wow! What a time you had of it in college. It’s a shame we all lose touch with each other during those years. I often saw your Mother at work and asked about you! I wish I had gone another route in college! You are so brave to stick to your guns and go into another direction. I believe I still have a note or 2 from you in HS telling me I should join Track. He who hesitates is lost. I lost out on that one! It’s good to be able to catch up with you and read your lovely accounts of those days we lost touch. You are currently reading Bloomsday at Walking on My Hands.